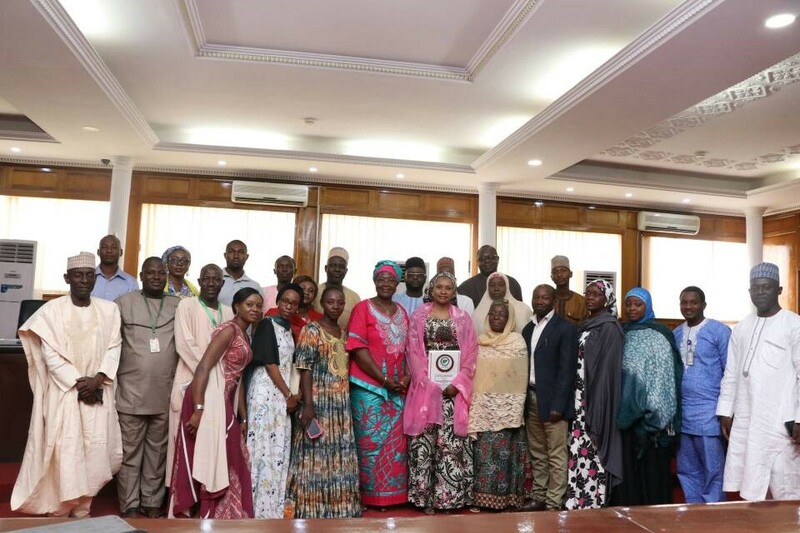 The Kaduna State Government has pledged to partner with the Civil Society Scaling-Up Nutrition in Nigeria (CS-SUNN) to tackle malnutrition in the state. This commitment was made by Chairperson of the Kaduna State Emergency Nutrition Action Plan (KADENEP) Hajiya Aisha Ummi Garba El-Rufai during a recent advocacy visit by CS-SUNN in Kaduna. Hajiya Ummi El-Rufai who is also the Wife of the Executive Governor of Kaduna State affirmed that CS-SUNN’s activities falls within the scope of the KADENEP program stating that she looks forward to a productive and fruitful collaboration with CS-SUNN. “I am more than excited to work with CS-SUNN. Once we can sit and map out how to address malnutrition in Kaduna, funding will be made available for activities. CS-SUNN has advanced in so many issues regarding nutrition; drawing attention to challenges and disturbing data and figures, I will work with them”, the KADENEP Chairperson said. Hajiya Ummi El-Rufai therefore directed that CS-SUNN be inculcated into the KADENEP Steering Committee as project partner especially in the area of data provision and distribution, community enlightenment and orientation. Earlier, Project Director of CS-SUNN, Mrs. Beatrice Eluaka said nutrition is a developmental and multi-sectoral issue and not just a health issue. (People have food but do not know how to utilize them which sometimes results in nutritional problems). She noted that CS-SUNN pursues the lofty goal of engaging and mobilizing Government, and Non-State Actors to advocate for relevant Policy implementation, raise awareness, generate evidence, build capacity and stimulate communities to scale-up nutrition in Nigeria, with especial focus on maternal and child nutrition. “We want to work with government to see how we can address the issue of malnutrition. We look forward to having a KADNAP, (that is without an E) getting to the point where malnutrition is no longer an emergency. The time to fight is gone, we intend to partner with government to see that things get done and we are glad to have you lead this course in Kaduna state” Says Beatrice Eluaka, CS-SUNN’s Project Director.